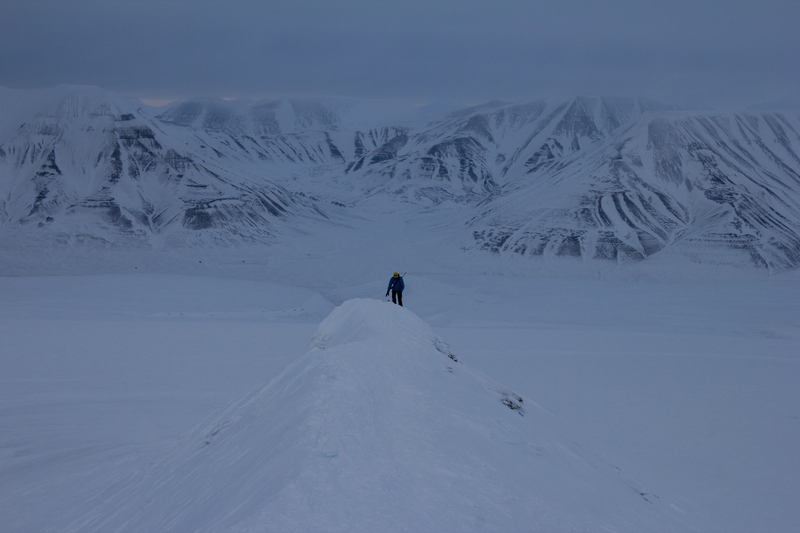 “There is no such thing as ‘just’ ice.” Not to a glaciologist anyway. Professor Doug Benn is recounting to us his reply to a reviewer who questioned his use of the term ‘refrozen water ice’. 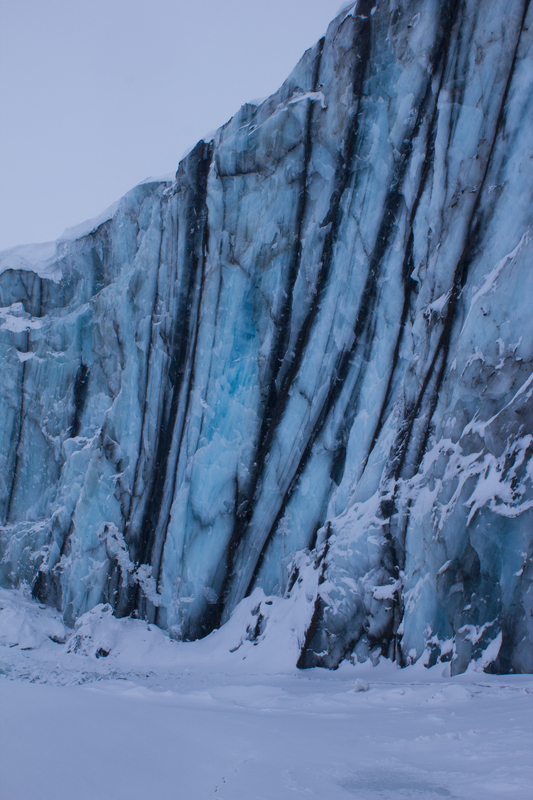 While this may sound superfluous, the many variations in density, temperature, content, layering, and colour of glacier ice can tell us a lot about its history, and potentially, about it’s future. 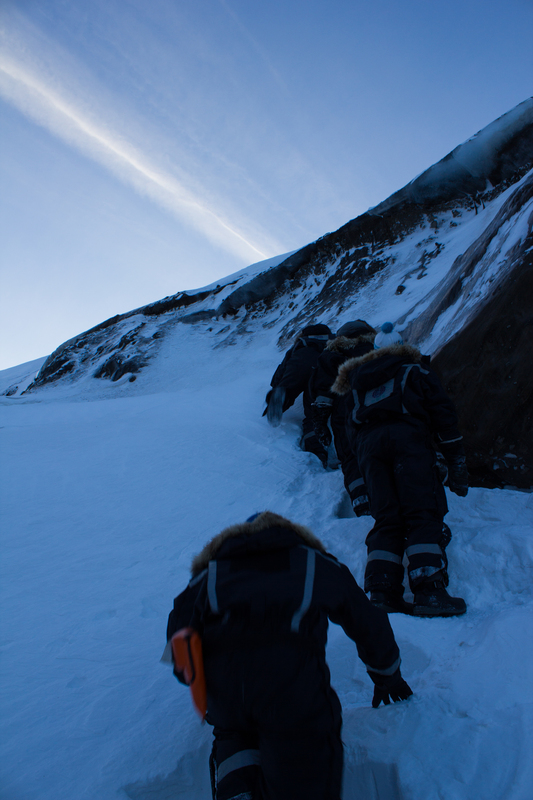 Prepping the Ground penetrating radar (GPR) on Longyearbreen. 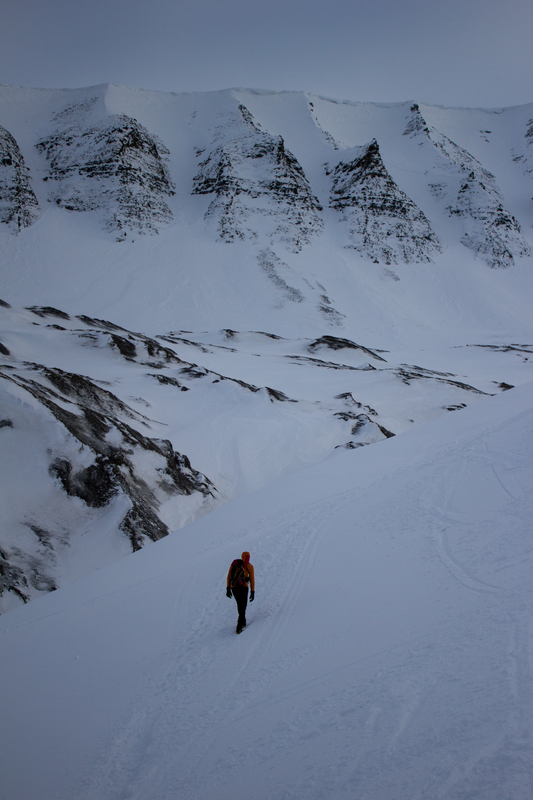 GPR is used in glaciology to look at the thickness and structure of a glacier. 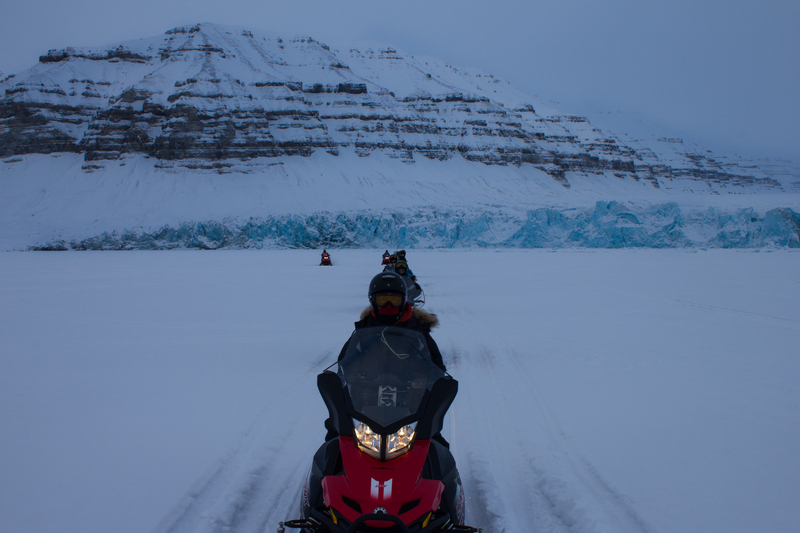 The GPR is towed across the surface, emitting pulses of energy which pass through the ice. 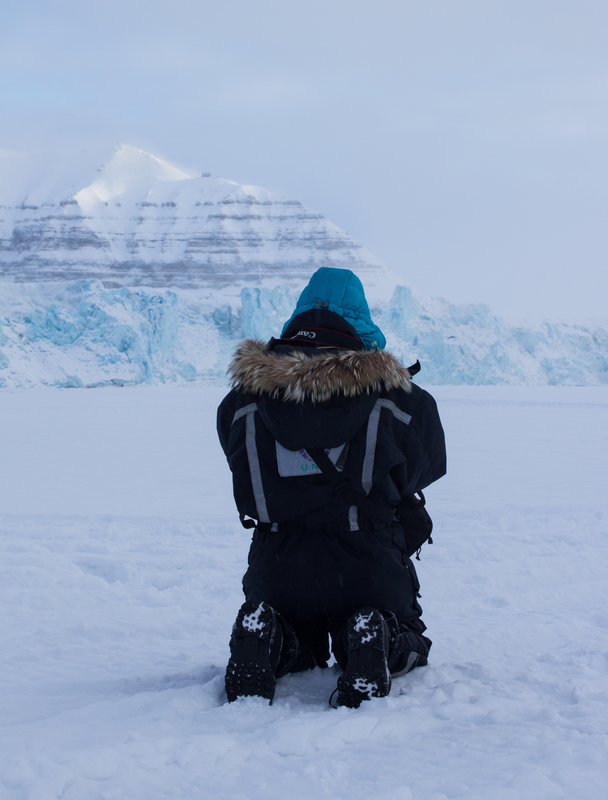 These pulses bounce of the rock underneath the glacier, and are reflected back to the GPR, like an echo when you shout in a valley. 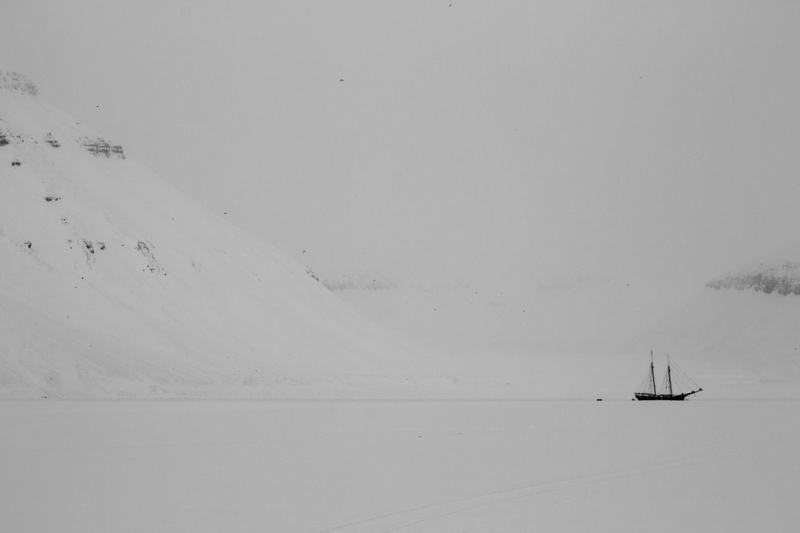 The time it takes for this echo to travel back to the GPR tells us how far it has travelled, and hence, how thick the ice is. 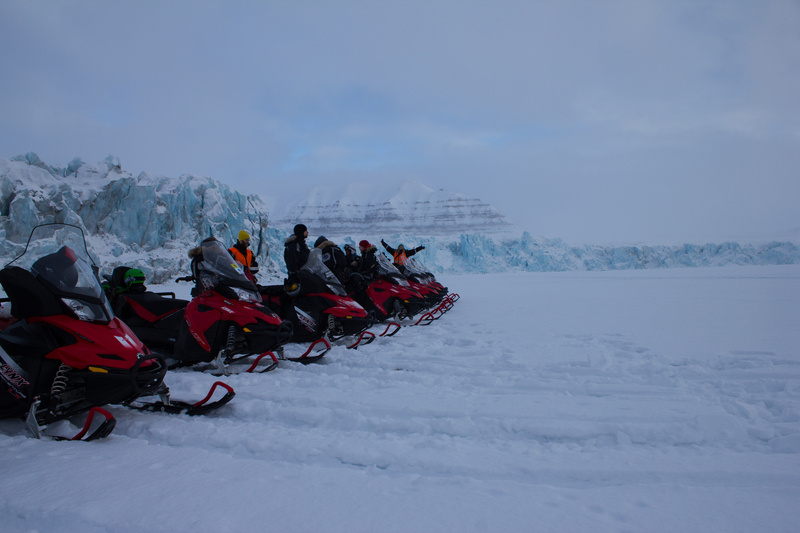 GPR can also be used to see if there are regions in the glacier that are ‘warm’ i.e. at its melting point, by reflecting off liquid water. 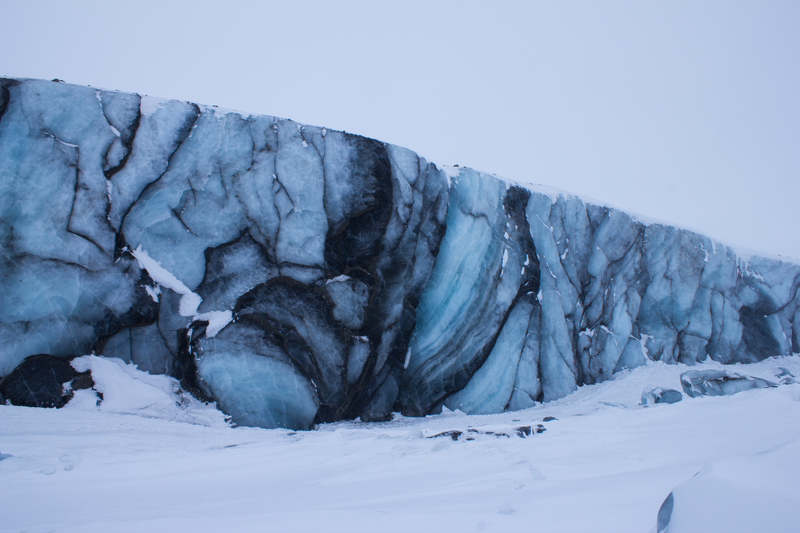 The presence of these warm sections in a glacier can tell us about the glacier’s present and past; how it moves, how it used to move, and how its behaviour has changed with time. 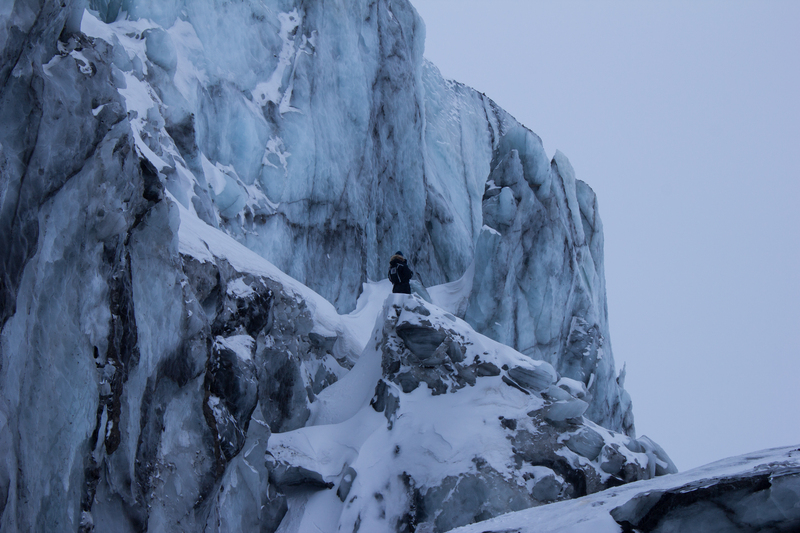 Examining the internal layering and structure of the ice on Larsbreen. 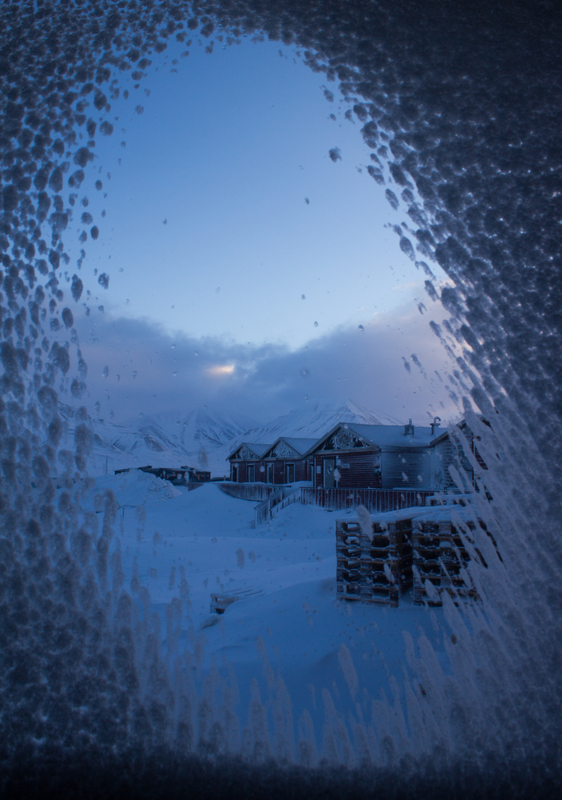 The network of tunnels visible here are formed by the movement of air bubbles in between ice crystals as freezing takes place. 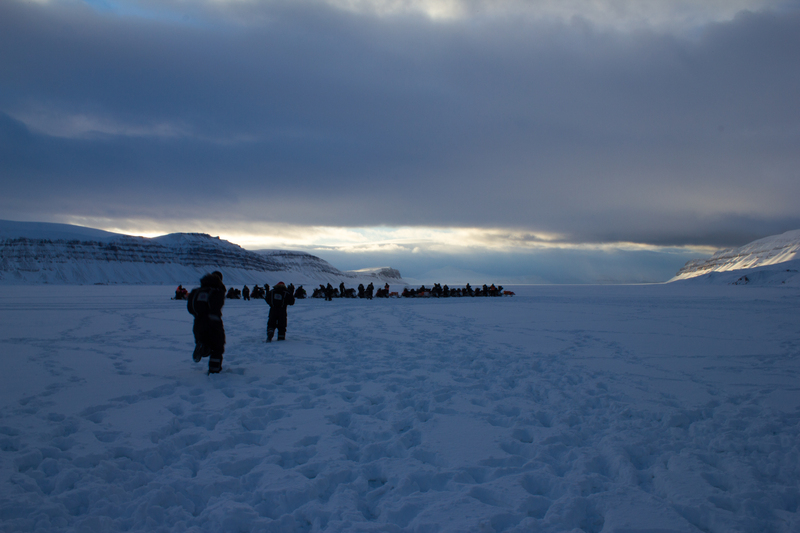 Arriving at the calving front of Tunabreen. 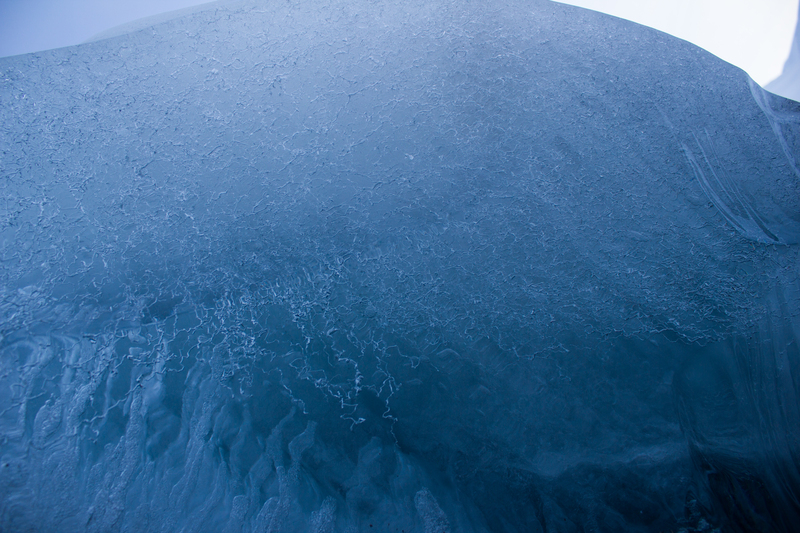 Calving is the processes by which chunks of ice break off at the end or ‘terminus’ of a glacier, forming icebergs. 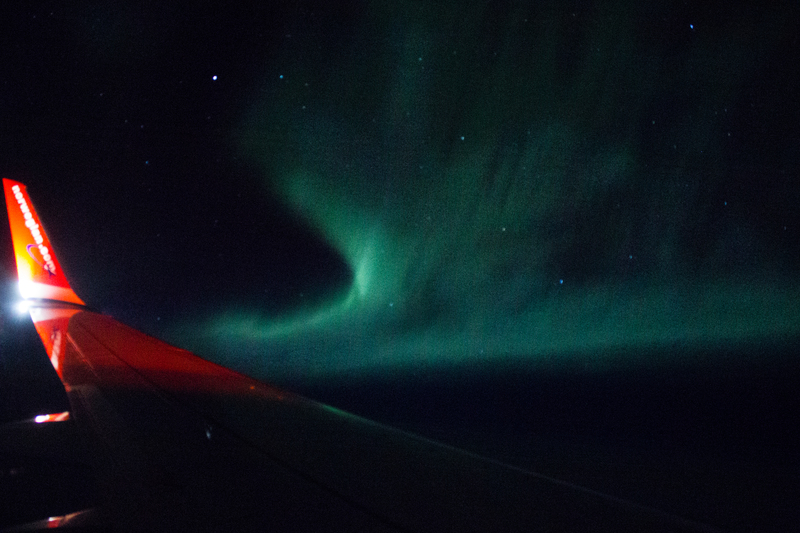 We were there during winter, when the sea was frozen. 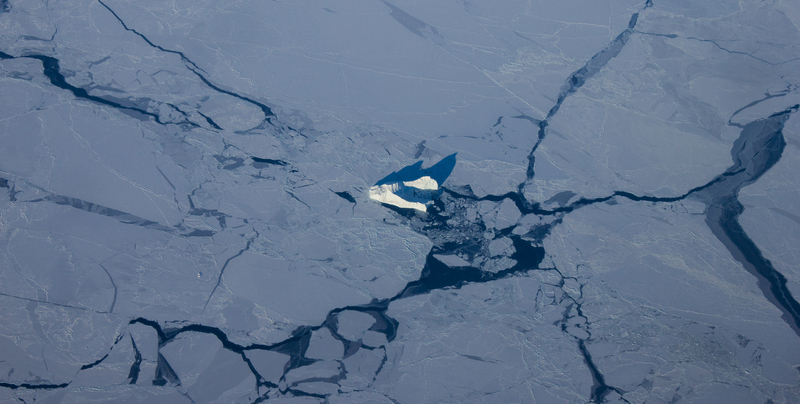 The sea ice acts as a temporary barrier to the glacier, slowing its forward movement, and preventing calving. 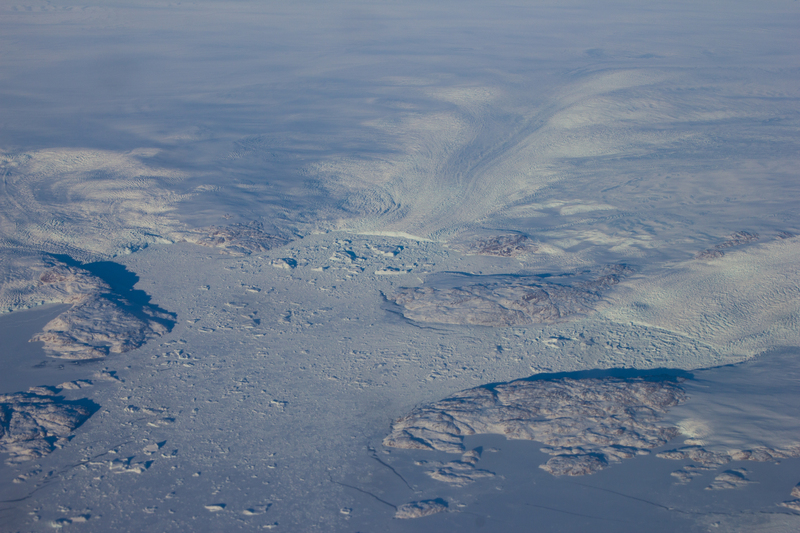 Tunabreen is a surge type glacier, meaning that its rate of flow or speed is not constant. 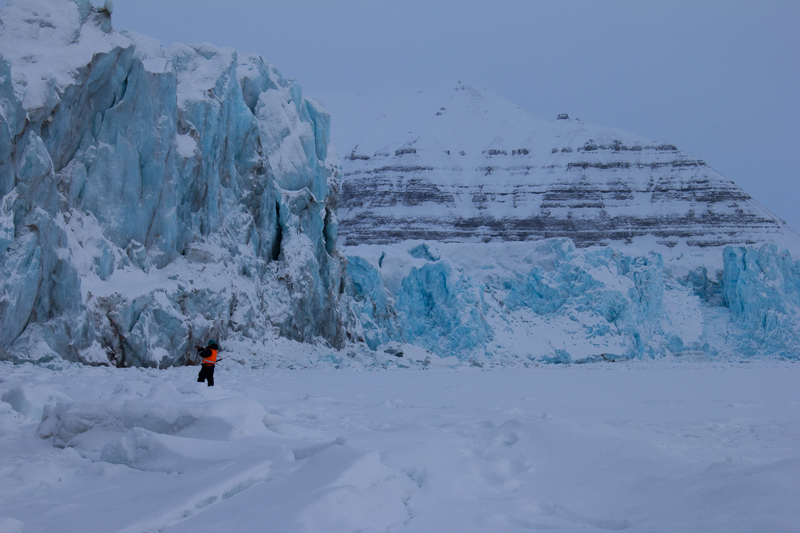 Instead, the glacier may move very slowly or remain still for several years, before going through a period of faster flow, known as a surge. The dark banding visible at the front of Paulabreen is evidence of its surging past. 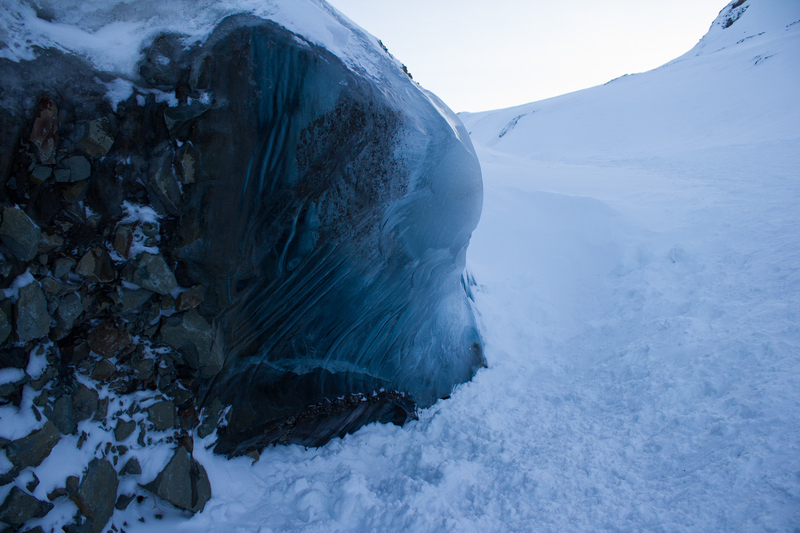 When the glacier was flowing more rapidly, large crevasses (cracks) opened up at the surface and spread downwards. 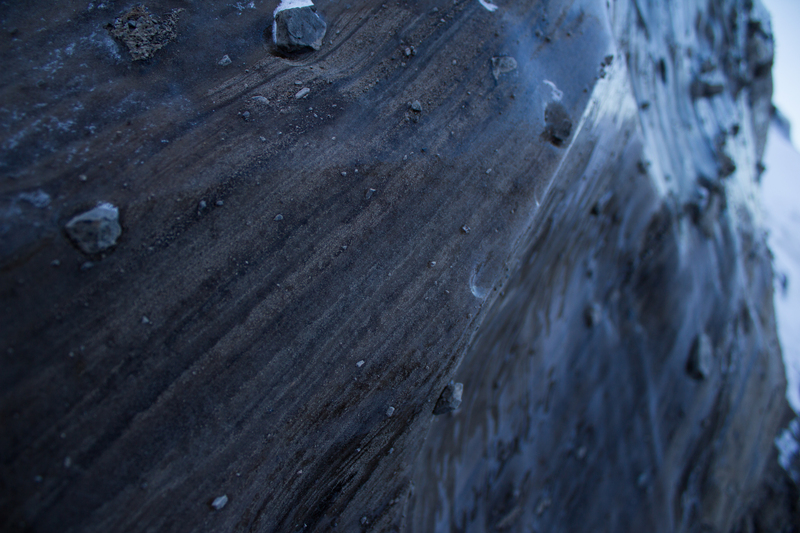 Debris and dust fell into these cracks, and when the crevasses closed again as the glacier flow changed, dark vertical bands of debris mark their former location. 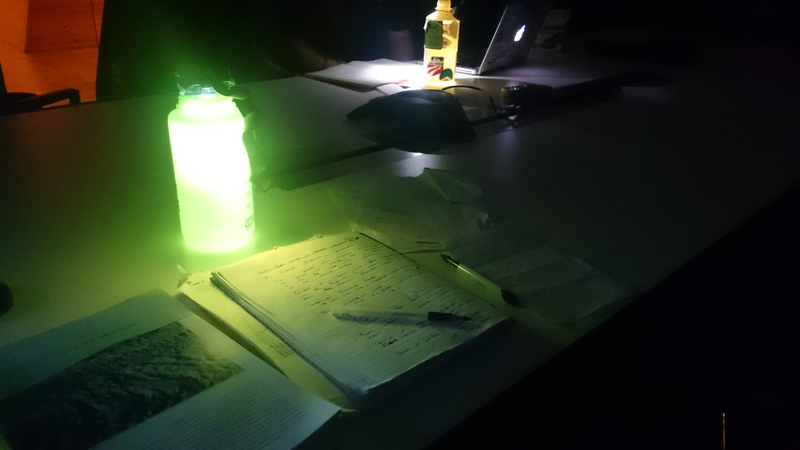 Better to light a candle: an arctic storm led to a power cut on the night before the final exam, leading to some creative lighting. 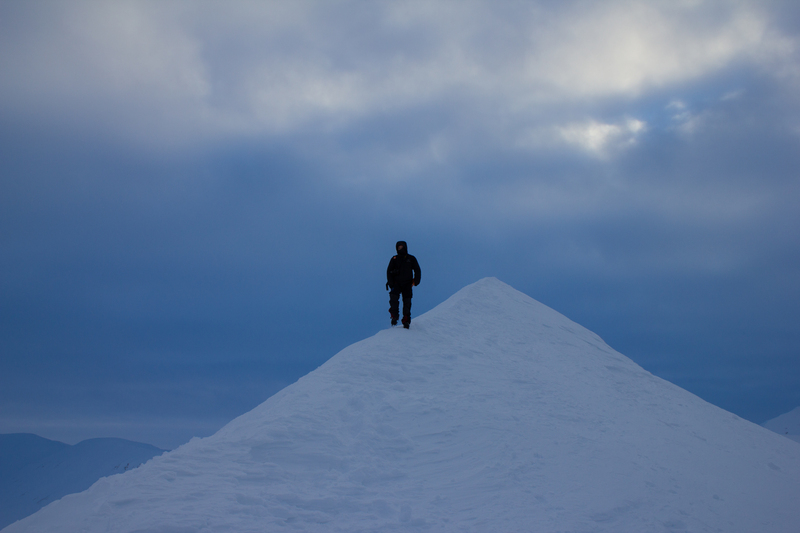 One last venture into the mountains before leaving the Arctic. 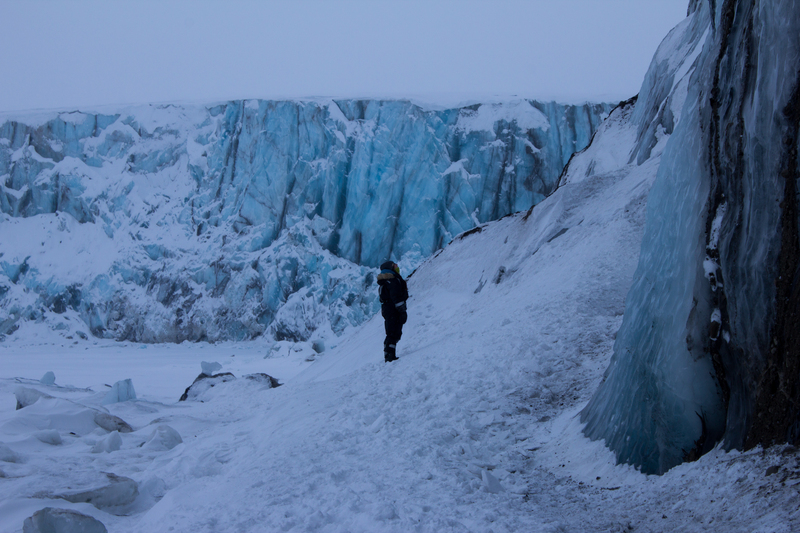 Glaciology PhDs: amazing experiences, zero glamour. 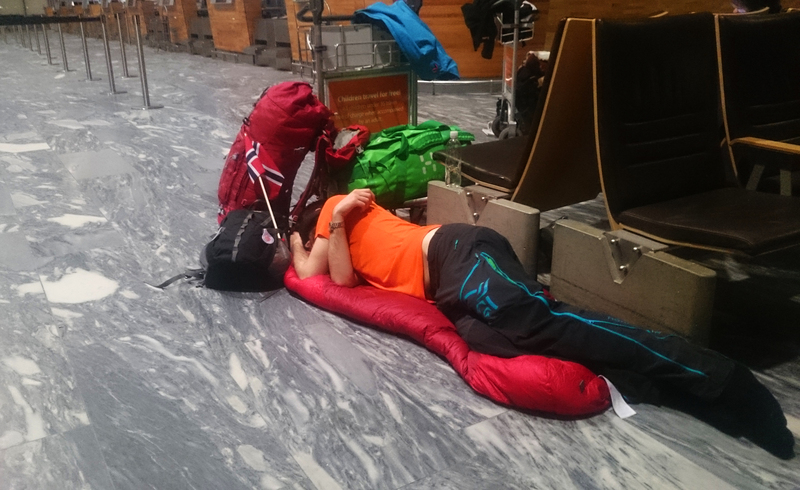 Overnighting at Oslo Airport. Flying over the enormous glaciers on the west coast of Greenland on my way back to Vancouver, and getting re-inspired for the next adventure.